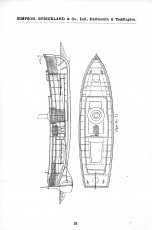 Simpson Strickland Catalogue No.5. High quality facilime reprint of a catalogue from this important steam launch builder. This is marked fourth edition and is probably dated 1903. 68 - A5 size pages. 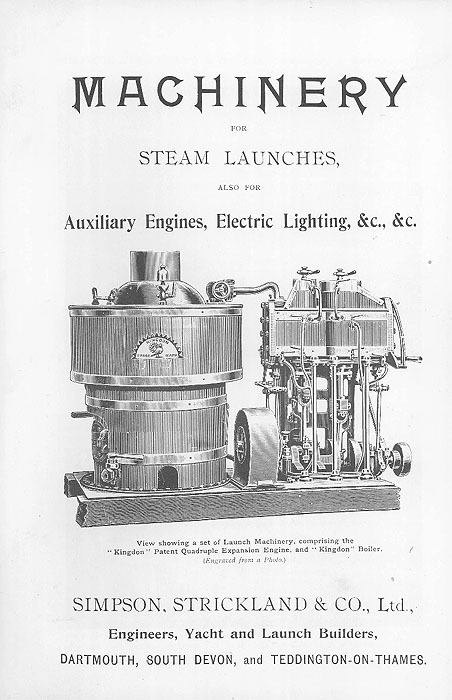 A lot of photos and details in this catalogue with period prices for the steam launch machinery. 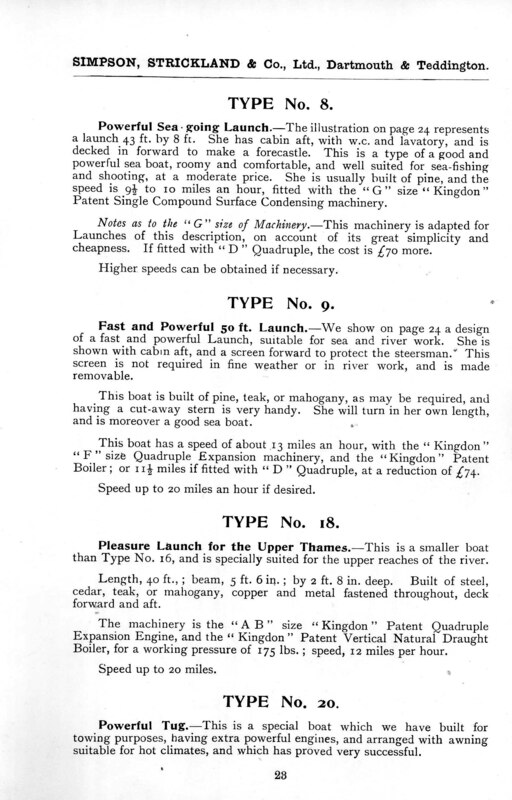 The catalogue also contains some very useful advice about selecting boats and machinery. 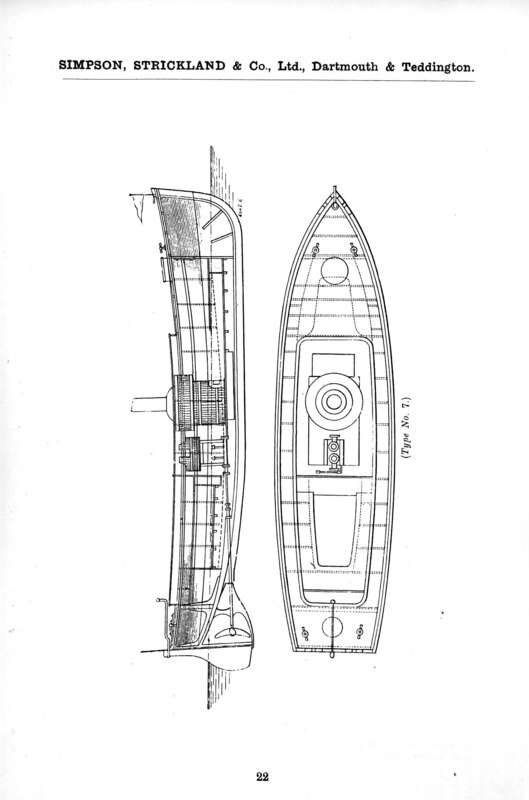 Several GA drawings showing a variety of launches and layout of their machinery. A good introduction to those who would like to learn more about small steam launches. This product was added into our inventory on 5 Mar 2018 and has been viewed 196 times.